The International Technology and Engineering Educators Association (ITEEA) is the professional organization for technology, innovation, design, and engineering educators. Until September 30th we are offering a savings of 50% off of the $40 membership rate. 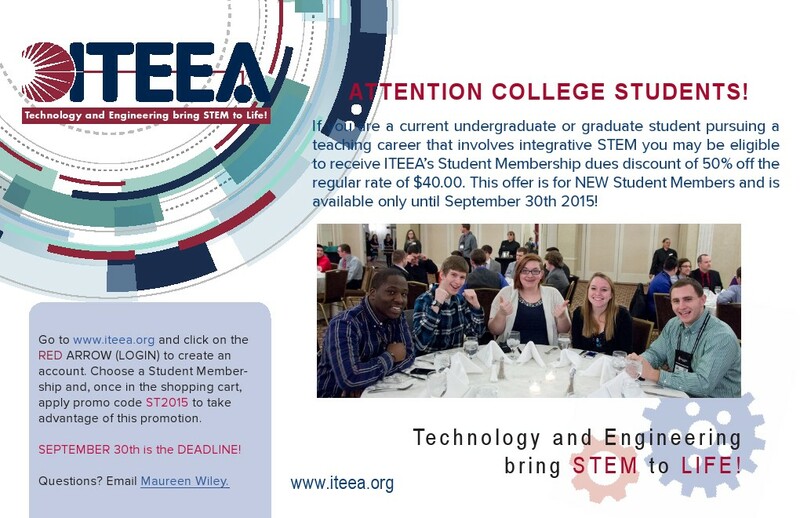 Please visit the website at http://www.iteea.org/Membership/studentmembership.htm for more information.